The Estate of George Frederick McKay offers the musical works and books of the composer to individuals and ensembles, either in printed or manuscript format depending on current publication availability . Our mission is to preserve the important historical and artistic legacy of Professor McKay's repertoire in the context of American and world culture. McKay composed many works integrating famous American poetry and musical themes, creating a living treasure for future generations. In addition, he created prize-winning modern musical works for chamber players and symphony music presented by master conductors like Leopold Stokowski, Sir Thomas Beecham, Howard Hanson, Frederick Fennell, Leonard Slatkin, John McLaughlin Williams, Arthur Benjamin and Richard Hickox. Several McKay symphonies and chamber works are now available on NAXOS Records, featuring Grammy-winning conductors in various performances. Professor McKay's textbooks are also available (Creative Orchestration, Creative Harmony) plus a new biography of the composer authored by Fred McKay can be ordered. 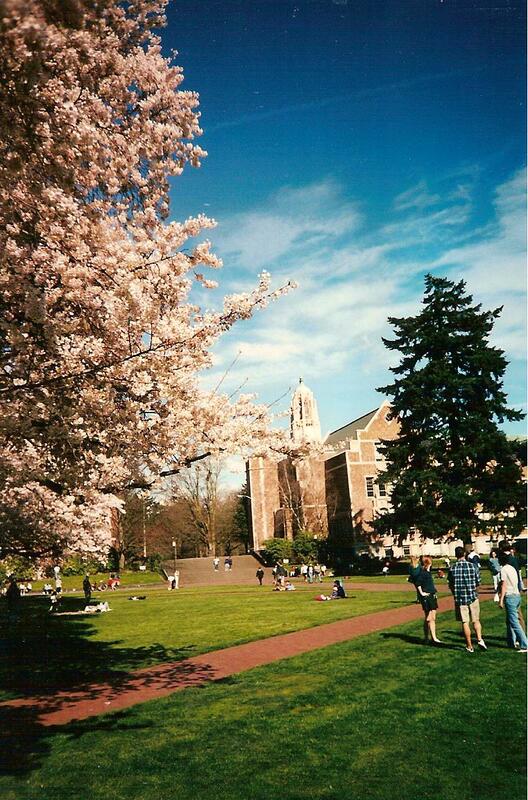 View of the University of Washington School of Music Building in Seattle in spring. McKay was on the faculty from 1927 to 1968.